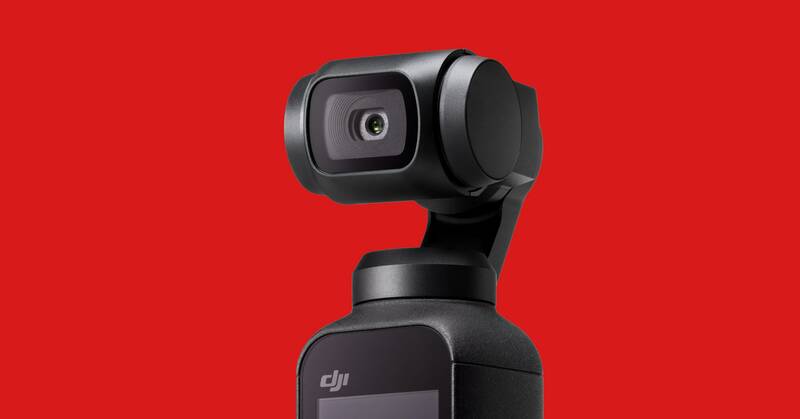 BACK IN 2015, drone-maker DJI began putting some of its image-stabilization technology into hand-held camera gimbals. The first, called the Osmo, was well-received among the prosumer crowd, because it let users capture unshaky video on either a smartphone or on the device itself. Since then, DJI has released a series of updates to the Osmo, including the smartphone-supporting Osmo Mobile. Now DJI is putting out its most pocketable Osmo ever—suitably named the Osmo Pocket. It’s DJI’s smallest three-axis gimbal so far, measuring slightly over four inches tall. It has a tiny color touchscreen, so you can see and control your video capture directly from the device, or you can attach your smartphone via USB-C or Lightning and use your phone as a viewfinder. And since the Pocket has the same camera sensor as the Mavic Pro, Mavic Air, and Mavic 2 Zoomdrones, it captures 12-megapixel still images and 4K video at up to 60 frames per second.